The Modern Maui TV Lift Cabinet is shown in a Cherry wood with aluminum trim. 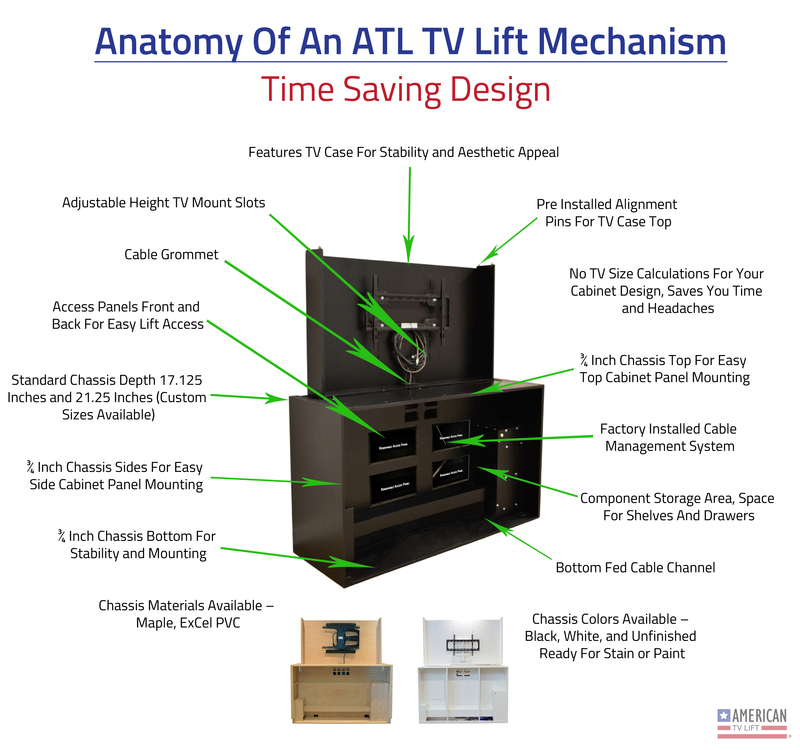 The doors and drawers feature perforated metal throughout. The monitor is enclosed in a secure, finished to match, wooden TV case. 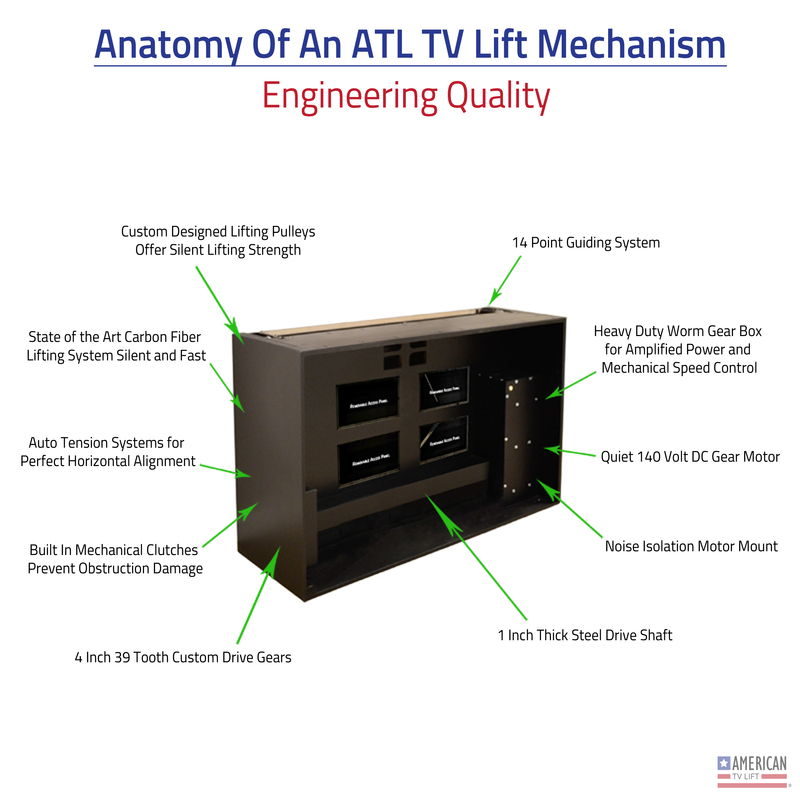 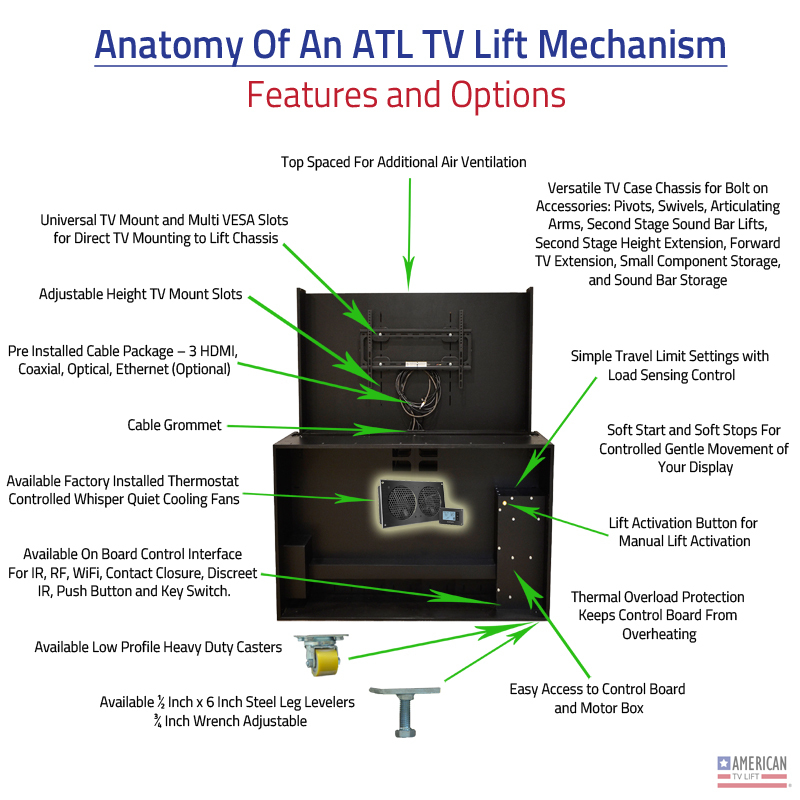 This provides an added level of strength, stability, and beauty not typically offered by other TV lift providers.